Our latest table has been a real treat to make. A modern take on the refectory table design, this style was originally made as a banquet table in medieval times. It earned this title as its designed to span across great halls and dining rooms to accommodate large numbers of people. The refectory design continues to be used in contemporary dining settings as its design is not only timeless but practical. 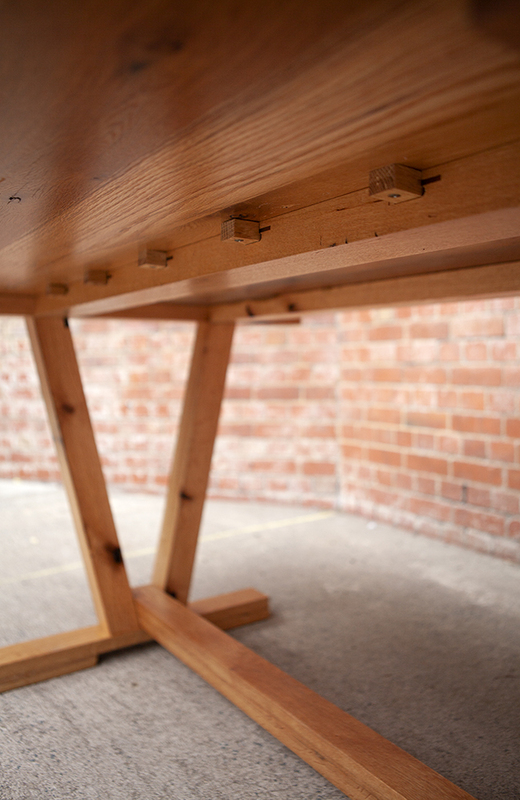 The base resembles a Trestle style which features the legs set in from the ends of the table. This enables a person to sit comfortably at end of the table without obstruction from the legs. The bottom rail of the frame provides structural support to the legs and also acts as a foot-rail, making it all the more comfortable to sit at. 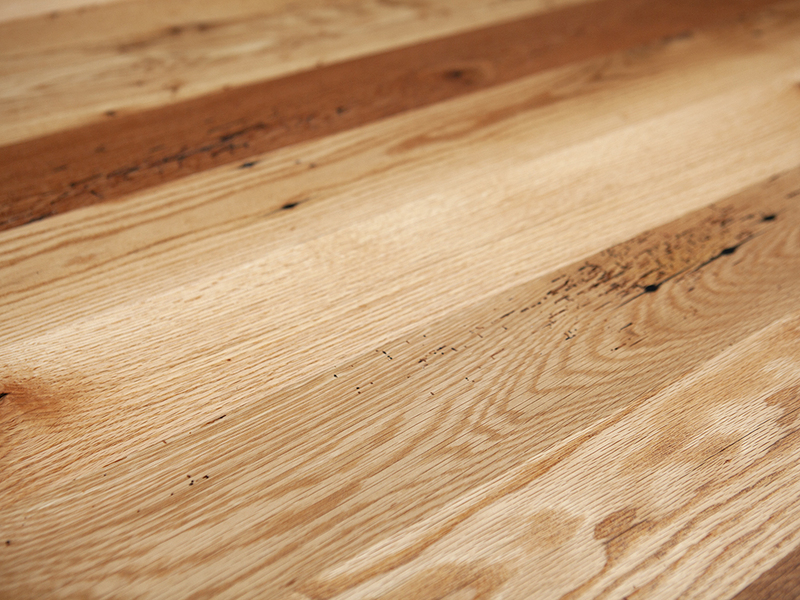 Our version makes use of American Oak which was salvaged from old barns in the US and is over 100 years old. Characterised by a distinctive grain known as leopard skin this pale timber comes up beautifully when filled with our plant-based resin and sanded back. Much of our focus when creating furniture is to design to last, and incorporate the timber’s natural tendency to move into the design. This is particularly necessary in Canberra with our hot dry summers and cold damp winters as it causes the timber to expand and contract. We used a very traditional solution here and created woodworking fixings known as Timber Buttons. These buttons are fixed to the underside of the top and slotted into the support frame. This allows the top to expand and contract without putting any strain on the joins, preventing splitting and cupping in the timber.